Addressing an election rally here ahead of the elections in the state on December 7, he said Kartarpur went to Pakistan due to the lack of vision and sensitivity of then Congress leaders. 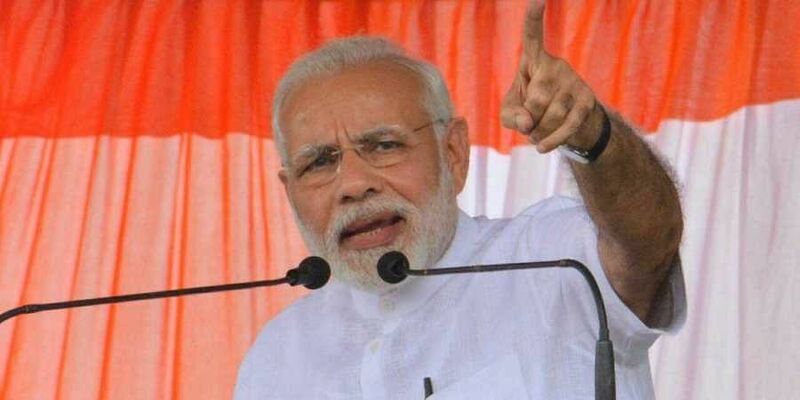 HANUMANGRAH: Prime Minister Narendra Modi used the Kartarpur corridor linking Pakistan to India to hit out at the Congress on Tuesday and said the party will have to answer why this was not done 70 years ago. The foundation stone for the much-awaited corridor linking Gurdwara Darbar Sahib in Pakistan's Kartarpur - the final resting place of Sikh faith's founder Guru Nanak Dev - to Dera Baba Nanak shrine in India's Gurdaspur district was laid last week. "The credit of the Kartarpur corridor goes to your vote. Correcting Congress mistakes was my destiny," he said at the rally. The headlines five years ago were about corruption and scams, the prime minister said. "Have you seen any news of this kind in the last five years," he asked. Focussing on farmers and their problems, he said his government wants to make farmers "energy givers" and asked them to install solar panels, use drip irrigation and other modern methods of farming. "The naamdar does not know the difference between red and green chillies," he said, hitting out at Congress president Rahul Gandhi, who he has often referred to as "naamdar" (dynast). "If you tell him that farmers are getting high prices for red chilli as compared to green chilli, he'll say farmers should grow red chillies," he said, alleging that the Congress was responsible for the pain of farmers.